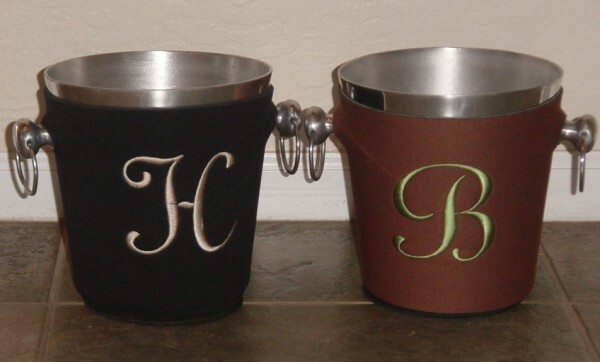 These are the classiest ice buckets around. Designed to be functional and beautiful! 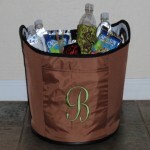 The ice bucket come with a stylish aluminum ice bucket and a custom monogrammed cover (removable)! Gift Idea: Place a bottle of wine or sparkling cider in it, wrap it up with cello wrap and tie with a bow to make a great hostess or wedding gift!